We had plans to travel to another continent the evening we ended up in Egypt, but Ruth had a voucher for some Egyptian grub at Koshari Street and we could never turn down a good bargain! So the plans changed and we found ourselves battling against the herds of tourists as we made our way from Covent Garden tube station to our eating house. Koshari is a small estabilishment, more like a takeaway, with seating along one wall. We were slightly concerned that we would be unable to sit inside, but our worry was over once we had arrived. We were pretty much the only people in there! 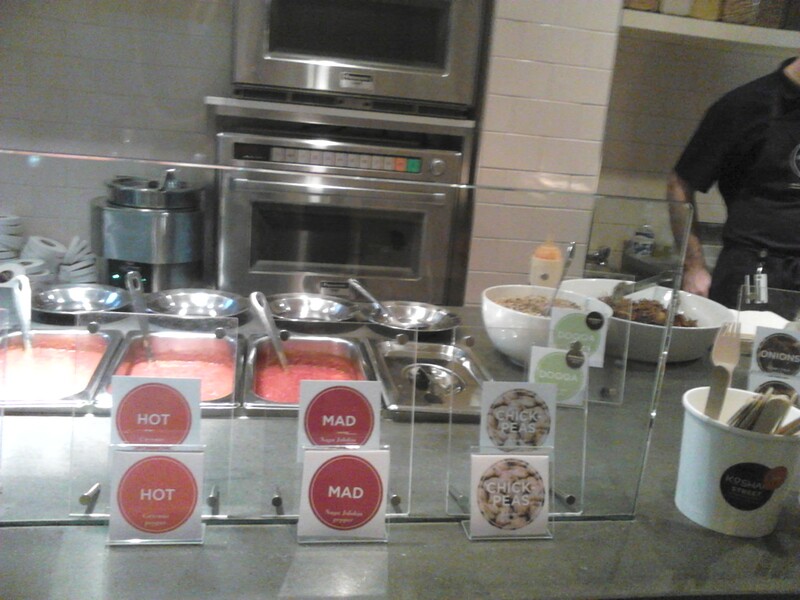 Koshari has just the one meal on it’s menu – Koshari. A tasty combination of cous cous, rice, lentils, chick peas and pasta. This is then topped with a tomato sauce (with varying levels of spice), nuts and crispy, fried onions. 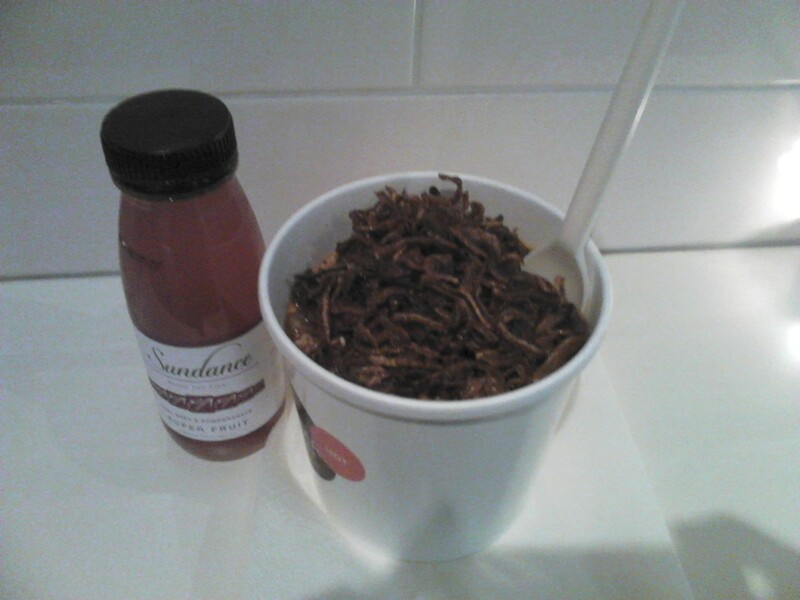 Koshari prides itself on it’s food being simple, healthy, delicious and freshly made. One of us went for the hot sauce, the other went for mad. But we were somewhat disappointed that we couldn’t tell any difference between the two. The food was good. Warming and lots of it. However the interior let the place down. It was modern and sleek, quite clinical looking. A shame really. A camel or mummy or two would have certainly given this eatery a bit more character, and drawn in the hauls of tourists who wandered past. Service 6/10, food 8/10, environment 6/10. This entry was posted in Uncategorized and tagged Dining, dinner, Dinnergeddon, Eygpt, Food, Koshari, London, restaurants, soho by dinnergeddon. Bookmark the permalink.